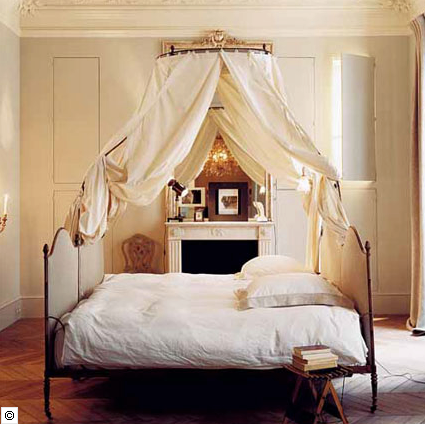 Is there anything more luxurious and dramatic than an iron canopy bed by a fireplace? I think not! That looks scrumptious! 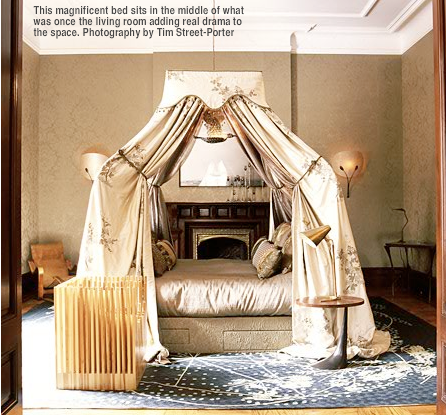 How decadent... all those fabrics and I love the bed in the centre of the room! Oh no, there is certainly not! what a great way to frame a fireplace. I LOVE these beds! I want a canopy! Definitely royalty! I love it! fantastically over the top. Love them. Repeating my question comment from a post a while ago...please read, Blair! I love all your finds! 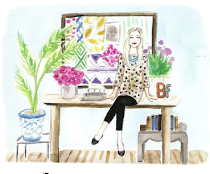 They are all so inspiring, but I was wondering, could you post about a study-inspired residential space, or even apartment? My dream living space has single shelves randomly placed in most of the rooms-all my beautiful books nicely scattered throughout. There is a focus on comfort blended with small sophisticated touches. Just some ideas...have you seen anything like this that could give me some visual help? The first is beyond stunning but the second looks so very comfortable. I think I could fall asleep after this post (in a good way, of course) — it's been one of those weeks for me too! I would love to have a fire place in my bedroom! The images here are exciting and beautiful. love the various styles that have been exhibited. Talk about warm and cozy - a fireplace AND a canopy bed? That's some luxurious living! I like that the lower picture has what looks like some drawers for storage space so you can stash the extra cushions and pillows when the bed isn't on full display. Creative bed room decoration .